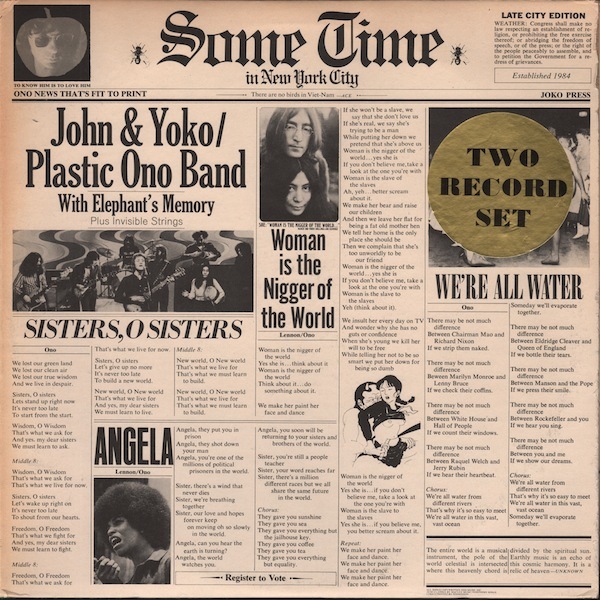 John Lennon and Yoko Ono’s Plastic Ono Band released the double album “Some Time In New York City” in 1972. 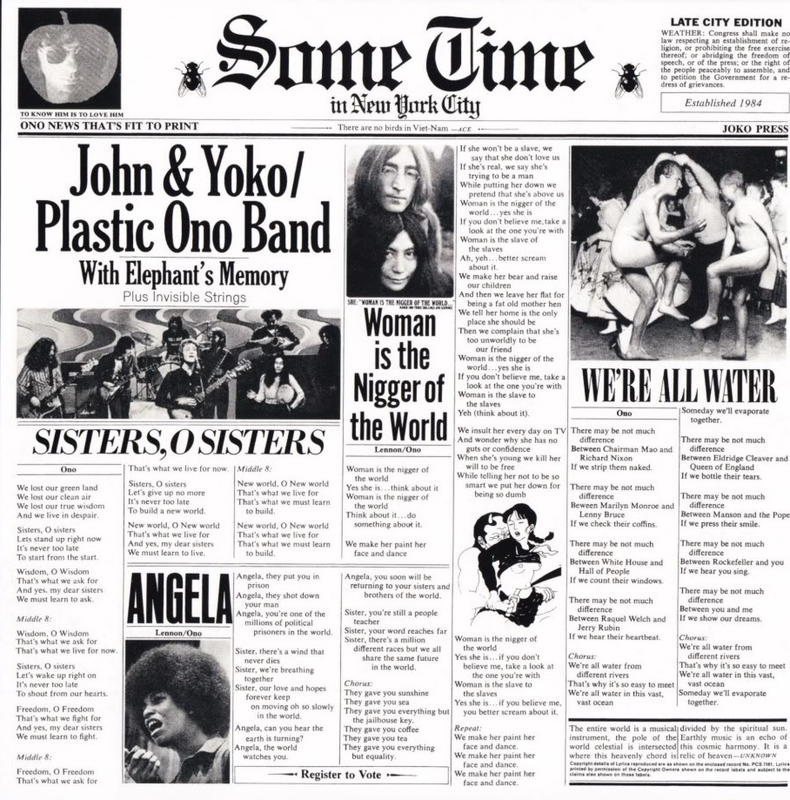 The half studio half live album cover was packaged like a newspaper of the events covered in the album. 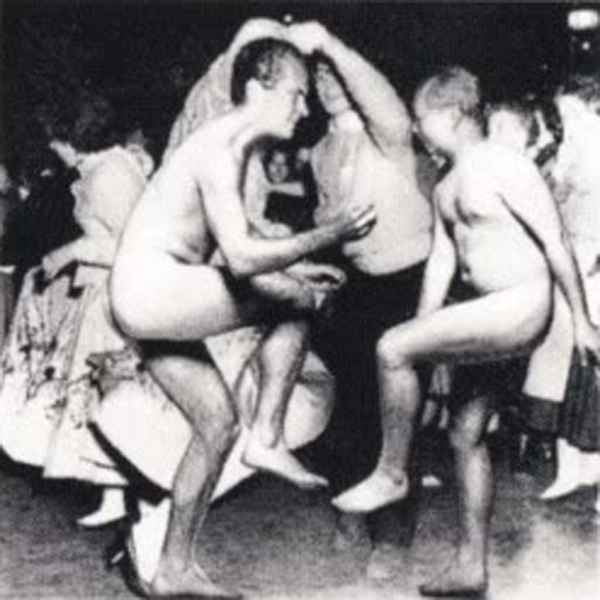 What I find funny is that they did not censor the vulgar sexual cartoon right below the photo of Nixon and Mao.